Grab a lounge chair and throw dive sticks for the kids, or jump in and join the fun. Relax by the fire and watch a movie with the kids. Little ones will have a blast in the children's club and the game room. Work on perfecting your swing at Golden Horseshoe Golf Club, 7 minutes away. Get your snacks ready and challenge your family to a hike. Waller Mill Park is 8 minutes from the resort. - This property requires USD 50.00 credit card deposit or USD 200.00 cash deposit at check-in for incidentals. For more details, please contact the property using the information on the reservation confirmation received after booking. 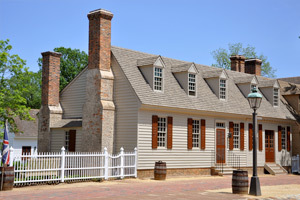 The historic charms of Colonial Williamsburg are only a few minutes away from America's most beautiful theme park and its lineup of thrilling coasters.